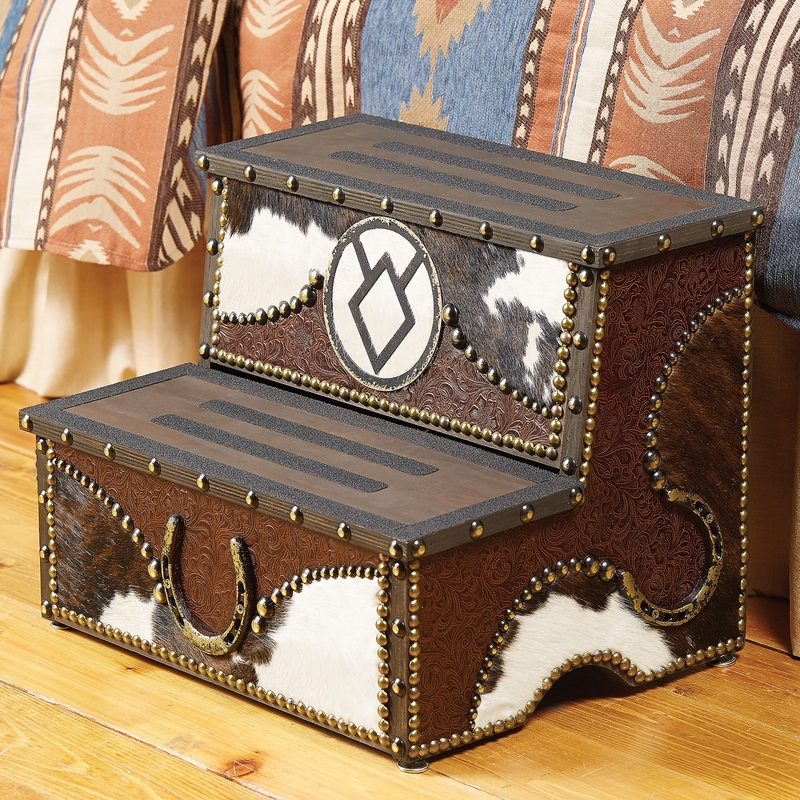 Exclusive - Truly unique, these wood steps are covered in hair-on cowhide and floral embossed leather with brass nailheads and can be personalized with your brand or initials. Please contact customer service for personalization information. Measures 20"W x 15½"D x 16½"H. ~ Ships from the manufacturer. Allow 3 weeks. Cannot express ship.